Hope you all had a wonderful holiday and was able to spend lots of time with your families as I did. January is upon us and like most of you my mind always turns to organization. I love starting a new year with a new slate and get all my "stuff" in some semblance of order. Today I am going to show you a very simple little organizer that could possibly have multiple uses. I have quite a few rolls of washi tape that get thrown here and there in bins, boxes and drawers - wherever I finish with them. Then the next time I need some I am searching all over for them and can't seem to find the one I want. Does anyone else have this problem? I needed something to corral all these little rolls in one spot and so I searched my house. A couple of years ago hubby had made me a stand for my cone trees that I never wound up using. I came across it and inspiration struck. What a great way to hold all that washi tape. So today I am going to show you how he made my Washi Tape Organizer. 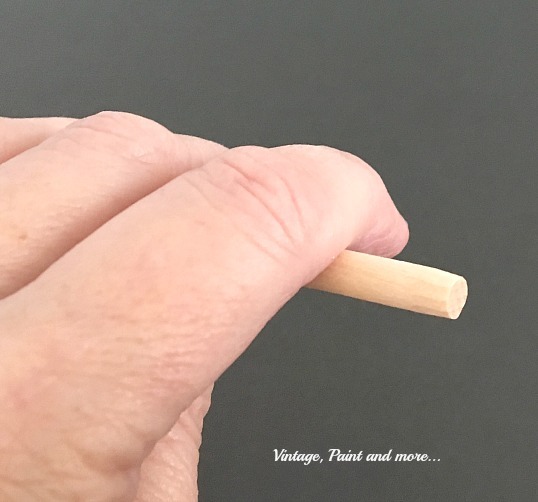 It's a very simple little project that takes only minutes but I am telling you it definitely made a difference in my crafting. 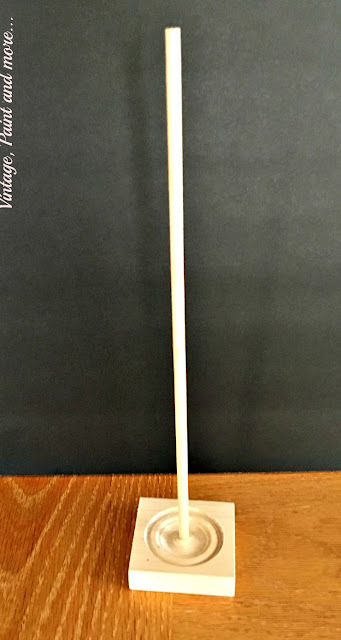 You will need a 2 1/2" wooden medallion and a 1/4 inch dowel rod 12" long. These can be found in most hardware stores and the medallion comes in different sizes. You will also need a drill to drill the hole. First of all drill a 1/4" hole in the center of the medallion. I have hubby do my drilling - I am not a power tool girl. 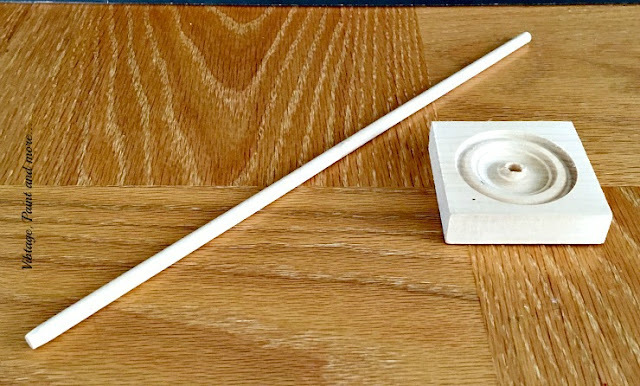 He also chiseled the tip of the dowel rod just a bit to make it easier to insert in the hole and fit tighter. Next place the dowel rod in the hole. You can glue it in place but mine is tight enough I didn't need to. I also left mine natural but it can be painted or stained if you so choose. This is how mine looked when finished. Add your washi tape and you are done. An organizer in minutes that corrals those stray rolls in one place. I also added some of my baker's twine rolls. 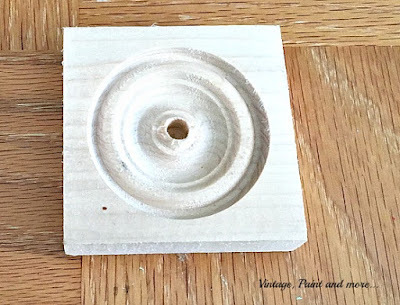 Since this is only a 2 1/2 " base it takes up very little real estate on my desk top and is right there for me to use when I am crafting, scrapbooking or journaling. So easy to use also - I don't even have to take the roll off to cut the tape. Here it is with one of my tin can organizers. 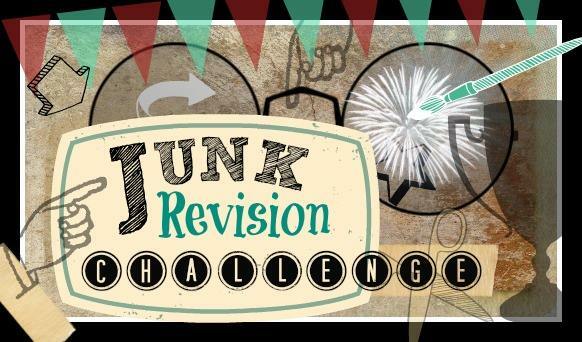 I am joining the ladies of Junk Visionaries today. This months challenge is organization. Check out the links below and see what everyone came up with to get better organized this year. There are some great ideas found there that I will be using to get my "stuff" organized. How about you? Remember to join us next month when we meet the challenge of making something related to"hearts or Valentine's day from junk. I can't wait to see what eveyone comes up with. What is the most unique organization item you have used? I love to hear from you so tell me about it in the comments below. 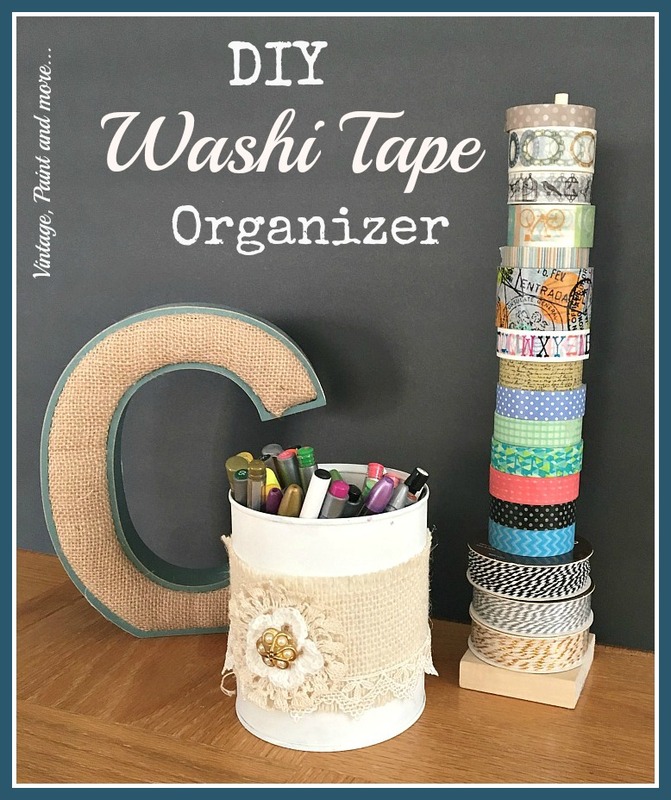 Great way to organize washi tape! Cathy, this is a cute organizer using the medallion and dowel rod!!! It's useful and pretty!! Nice job!!! This is really cute! I have some serious craft room organizing issues. I will be making one of these for sure. Thanks for the inspiration! I LOVE vertical organization, it's such a space saver! Great project! I have a few of those medallions, and think that the circles in them would act as a great natural holder for ribbon and washi tape. I spend way too much time looking for items and it makes sense to use something that doesn't take too much space and that you can easily transport into whichever room you are using it in! How cute, Cathy! I have some of those medallions, too, and it never dawned on me to turn them into standing holders. Great idea!! Great idea! Love the vertical organization idea. So simple and yet so perfect! 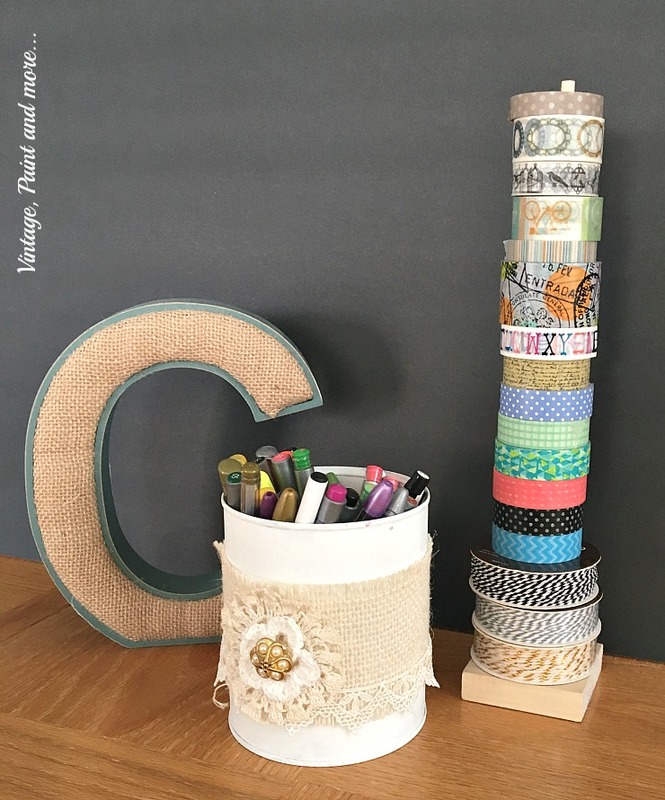 I love your collection of washi tape, and this is the perfect way to store and display it! What a great way to organize the wash I tape. Thanks for sharing this at Cooking and Crafting with J&J. 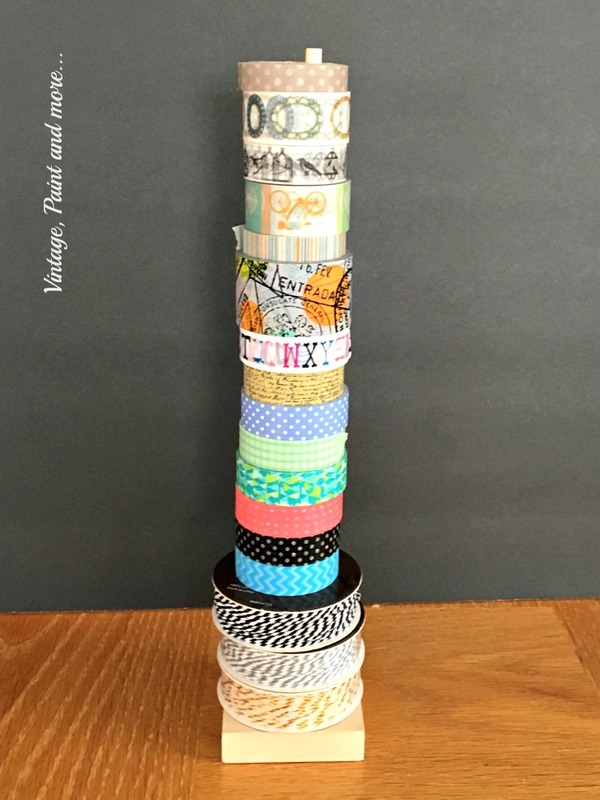 I have so many washi tapes lying around unorganized, I love this idea! I love this idea! Thanks for sharing at Snickerdoodle Sunday. Your Washi Tape Organizer is my Snickerdoodle Special of the Week. Hope to see you at tomorrow's party! Great way to corral the clutter. Thanks for sharing on the #HomeMattersParty . I hope you will join us again next week. I really need to try that for my washi tape. I have it in a basket, but things fall when I dig for a color.